On the towering stilettos of The Devil Wears Prada comes a biting, mordantly funny debut novel about the extremely unladylike business of publishing a very ladylike magazine. Once there was a little girl from Fargo, North Dakota, named Maggie Goldfarb who grew up, moved to Manhattan, and morphed into Magnolia Gold, the highly paid editor in chief of Lady magazine. With a corner office, a designer wardrobe, and dozens of loyal employees, Magnolia has been hired to update the dowager of women's magazines. She's on her way to giving Lady a face-lift when she is ignominiously replaced by Bebe Blake, a brash television personality who remakes the magazine in her own hilariously inappropriate image. With her ketchup-red hair, skintight clothes, and penchant for 'boy toys,' Bebe is more out of control than a speeding limo. Maddeningly unpredictable, she confounds everyone at the newly christened Bebe with her personal vision of what a women's magazine should be, and baffles them further with her bawdy sense of humor and over-the-top generosity. Shunted off to the darkest corners of executive purgatory-an overlooked back office she shares with a cockroach or two-Magnolia seethes from the sidelines as Bebe turns her beloved, once-profitable Lady into a sideshow. As things go from bad to worse, Magnolia fears that her career will never recover, but even she can't predict how deeply satisfying her eventual triumph will be. And not just at work: amidst the frenzy of backstabbing at the office, Magnolia finds Mr. Right in a city of Mr. Not-Quites. 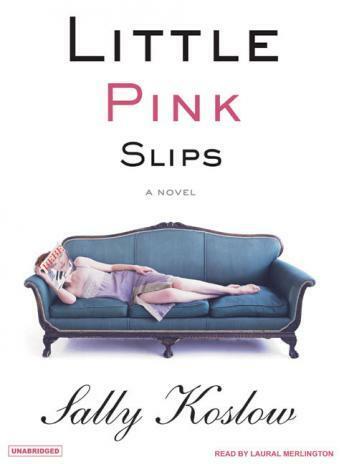 Inspired by real-life events, Little Pink Slips is about the fall, rise, and sweet revenge of a woman who witnesses corporate shenanigans at their most flagrant. Filled with gossipy revelations about celebrity obsession and behind-the-scenes details of the media business in all its malfeasant glory, this novel is delicious, can't-stop-reading fun.